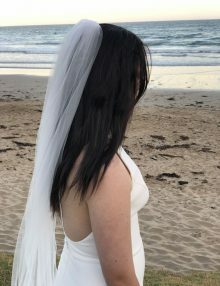 Candice Chapel is an alluring, captivating veil! 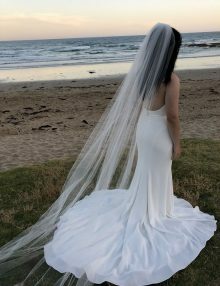 This single tier veil has 5mm satin edge. It looks stunning worn towards the back of the head, or under an up-do. Cannot be worn over the face. Starting from floor length (180cm), and available in longer lengths. Floor length is suitable for a gown without a train. 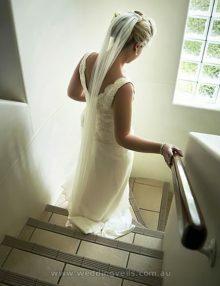 Chapel or cathedral length is recommended for a gown which has a train at the back. 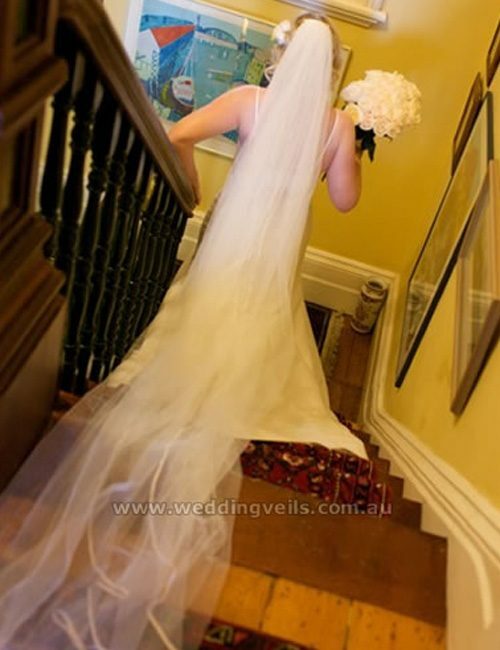 Cathedral length veil is pictured.